What is the schools outreach project? We offer a range of opportunities for student volunteers to support learners in both pre school, primary & secondary education. Our programme offers schools a wide range of activities to inform and raise awareness of opportunities in higher education and studying at Lancaster University. 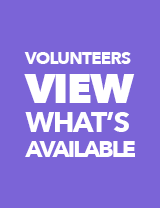 The opportunities throughout the year will offer volunteering experiences for our students ranging from getting involved with classroom activities right through to helping to lead projects here on-campus. What can I gain through volunteering with schools? Before you can sign up to an opportunity, we first require all our volunteers to sign up with us online. Click the button below to sign up now and the return to this page to read about the opportunities we have on offer! What happens when I select an opportunity? Once you have selected an opportunity one of our team will be in touch to start the process of completing a DBS Certificate, undertake Safeguarding training and invite you to a meeting or to any additional training. Projects and placements run throughout the year so in most cases it is never too late to get involved! We try to keep the process very streamlined but there are a few essentials, which are required to be able to volunteer with our schools programme. The Disclosure and Barring Service (DBS) was established in 2012 and carries out checks to ensure people are safe to be working with children or young people. This is not an exam or a test but a DBS certificate helps to prevent unsuitable people from working with vulnerable groups, including children. There is no cost for this certificate. Schools play an essential role in protecting children from abuse whilst creating safe environments for children and young people through robust safeguarding practices. Safeguarding training ensures that adults who work in the school, including volunteers, don't pose a risk to children. This online module provides volunteers with information and techniques to ensure children and young people are supported but also to protect you and your colleagues. This should take no longer than one hour. There is no cost for this training. Volunteers will be invited to meetings as required. If you have signed up to an action day then training will be happening throughout the year to coincide with the events. Volunteers who are aiming to go directly into schools will be invited in as soon as possible to go through their aims and requirements. This can often be combined with the DBS check depending on how much time you have! Meetings and training are essential so we can ensure you know any vital information or for you to ask any questions! Below you'll find our four main areas of volunteering with children & young people. You are not limited to just one area of interest and can request information on all of our opportunities. This opportunity offers chance to support and reinforce lessons presented by teachers by reviewing material with students one-on-one or in small groups. We have excellent partnerships with Pre-School, Primary Schools & Secondary Schools. Duration: Half a day per week(number of weeks is negotiable). Volunteers will be partnered with a school based on experience, travel and availability of placements. Duration: Half or full day, usually on a one-off basis. This opportunity offers flexible opportunities to be partly involved with a project. We appreciate time is precious and so this opportunity is to support pre-existing Action Days with the Duck Hunt element. This opportunity is available throughout the year. How else does the students' union support me? 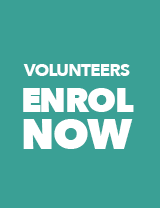 Did you know two in five employers are actively looking for volunteering experience on your CV? Our Schools Team offers a wide range of opportunities for Lancaster University students to be positive role models and share their university experience with young people. We want to widen participation, raise aspirations and improve awareness of higher education. Encourage pupils to be motivated, take an interest in learning and ultimately aspire to come to University in the future. If you are passionate about seeing young people succeed in education and think you can be a positive advocate of the Lancaster student experience, then why not get involved? All of our outreach activities connect with key aspects of the National Curriculum and provide exciting opportunities that are not readily available in the classroom. If you’re passionate about education, would like to foster a love of learning, or perhaps are thinking of a career in teaching, then we would like to hear from you! Through innovative projects, we aim to provide enjoyable and unforgettable experiences which support the development of transferable skills. Do you think you could facilitate a fun and fast-paced educational session for pupils aged between 2-18 years old? Whether you want to take the lead or play a supporting role, we have opportunities to suit everyone.